April is the month of sakura, and for which I have wanted to write a piece, until I found that while I was sharing photographs of sakura on Facebook many others were doing just the same thing, some from Kyoto, some from other parts of Japan. That was when I realised that, though Hong Kong people adore sakura, it is no longer a new thing and holds no mystery for them. And so I decided not to write about sakura, but about Hanako. The story began one day in April, in a book shop along the underground shopping arcade beneath Kyoto Station. Incidentally, I came across a magazine featuring NHK’s new TV series “Hanako & Anne". But that is not quite right. The story began much much earlier, when I was twelve. When I was small I loved watching Japanese animations, and in particular the “World Masterpiece Theater" series by Nippon Animation. Adapted from classic children’s literature from all over the world (mainly from the West), the stories recounted the young protagonists’s experience and difficult trials through which they graduated from childhood. Heidi, A Little Princess, Little Women, Little Lord Fauntleroy, Peter Pan, Daddy-Long-Legs, The Story of the Trapp Family Singers (The Sound of Music), The Bushbabies, Little Men, Anne of Green Gables, Die Schwarzen Brüder (The Black Brothers)…… Though intricate images and meticulous narration, these lovely animations, full of good will, led my young self into the world of Western children’s literature, showed me sights and histories of nations far away, initiated me to the beauty of literature and life, and the sadness of growing up. Now I still think that Japanese animations from that time are the best ones. Among the many favourites from the series, I especially adore Anne of Green Gables. Watching this girl who was in the same embarrassing age of 12 and all her hilarious blunders, I could not help recognising myself with her. Since then I revisited the Japanese version several times, read the original book in English, and also the Japanese translation by Hanako Muraoka. “Hanako & Anne" is just about the story of Hanako Muraoka, the translator of the Japanese version of Anne of Green Gables. Once I could watch TV, I immediately set out to follow this series. 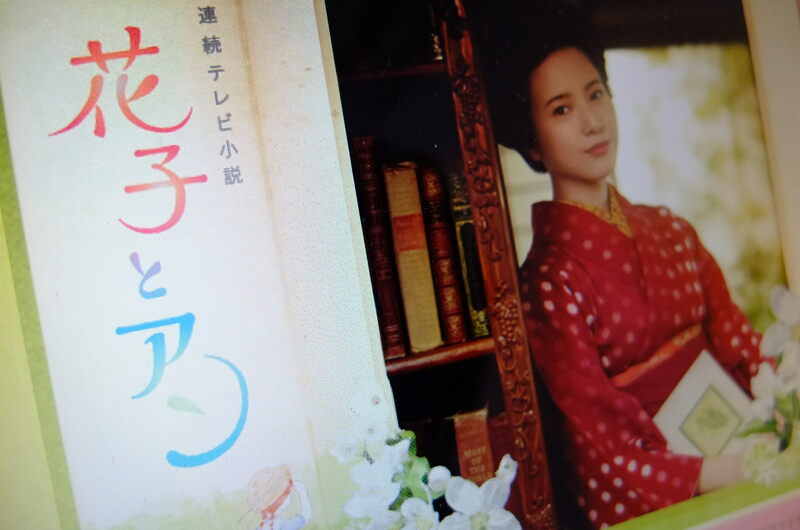 Though, there are fictional elements intended to create parallel lives between Hanako and Anne, Hanako’s life story as a poor girl struggling to become a well-known translator and children’s book writer in early 20th century Japan is beautiful in itself. Six episodes a week, 15 minutes each, just like when I used to watch the Anne animation back home from school everyday. And so I am reminded again of my first love story with Japanese culture.